APRIL SHOWERS BRING SOME MAY FLOWERS! 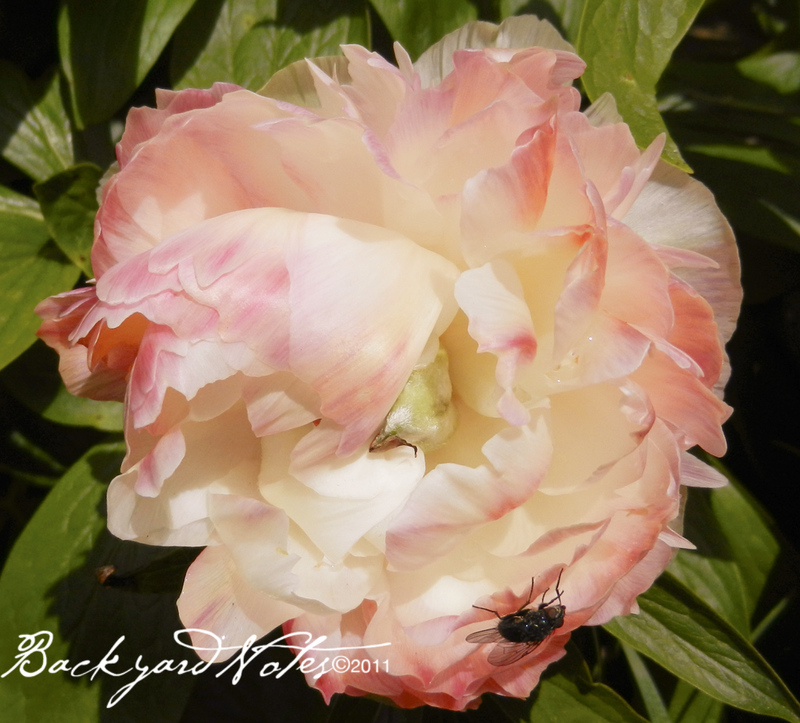 THIS LOVELY PINK TINGED PEONY has, to me, a very feminine, girly aspect. Ruffled edges like a crinoline petticoat. It will change from pink to pure white. In order to avoid repeating myself I took a look at a post from May 11, of last year. Most of what is pictured in that post is not even close to blooming and I have not spotted one fava bean! The continuing cool weather has really set bloom times back by a week or more. 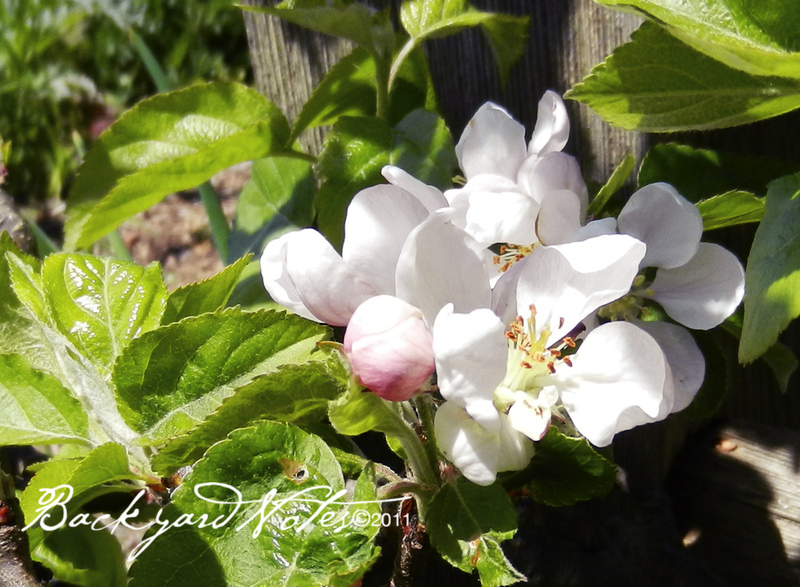 That said, tulips are still coming on and the apple tree began blooming around the first of May. It is so beautiful and we’ve had some warm, dry days so the hope is that it has been enough to bring out the pollinators. 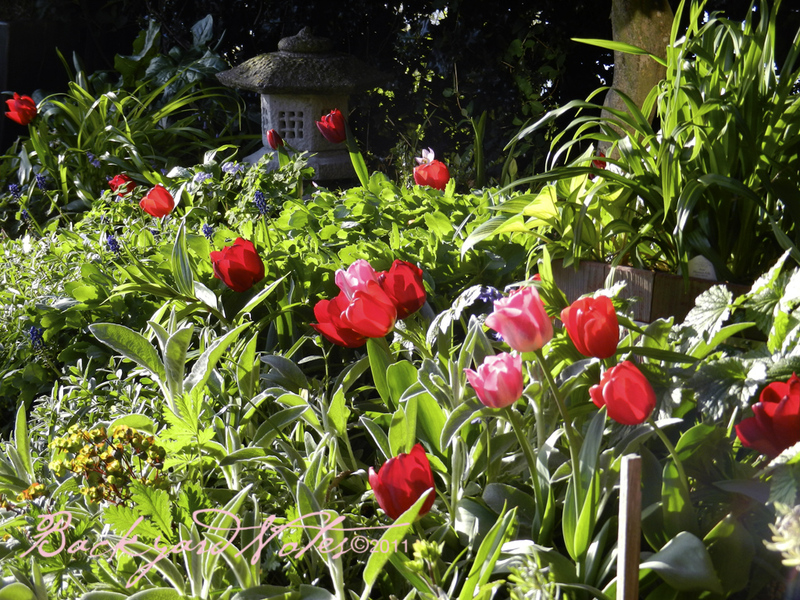 I really like this tulip mix, ‘Valentine Candy’, lots of pink and red shades. They look great poking through the mixed foliage of japanese anemone, stachys, lilies, and sedum of the Autumn Joy type. 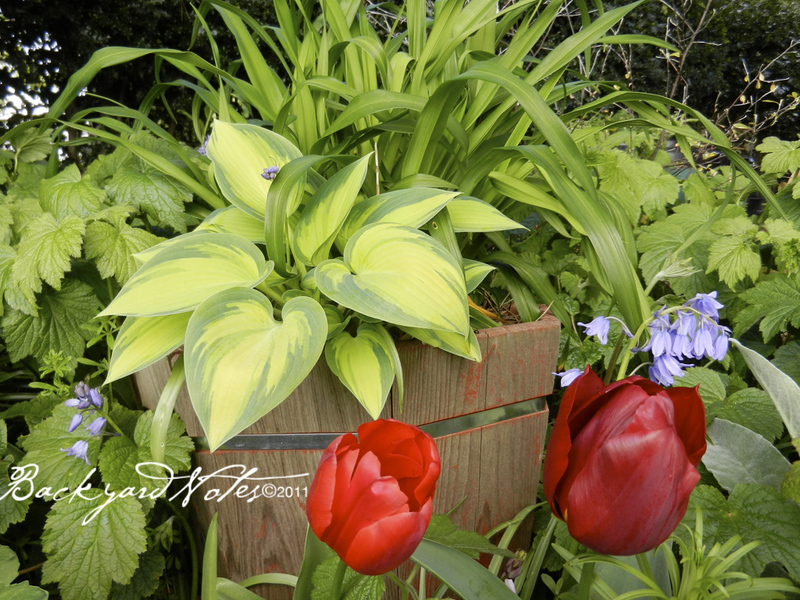 I like unexpected little vignettes, like this one with the hosta ‘June’, wood hyacinths, and a few of the ‘Valentine Candy’ tulips. This morning we have sunshine and the promise of a good day for gardening chores and transplanting of tomato seedlings which seem to be in sync with everything else—behind schedule! But complaints about the weather here are silly and shallow when compared to the devastation taking place all along the Mississippi. My heart goes out to all of those effected. Consider helping here.